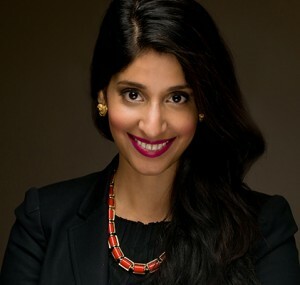 Komal Bhasin – bhasin consulting inc.bhasin consulting inc.
Komal Bhasin is a diversity and inclusion consultant, facilitator, and registered social worker with over 15 years of experience in public policy, strategic planning, and senior management within the public and not-for-profit sectors in Ontario. With a unique clinical and administrative background, Komal works in a range of contexts with bci clients, including consulting services, training and facilitation and one-on-one coaching in a range of inclusion areas. Komal is passionate about promoting diversity and cultural competence in workplaces, working closely with bci clients to develop intercultural competence across teams and organizations. Komal is also a qualified administrator of the Intercultural Development Inventory (IDI). Komal brings expertise around mental health in the workplace, and is bci’s resident advisor in this area. Komal provides tailored facilitation to organizations looking to advance their mental health inclusion policies. Komal is a Registered Social Worker and a Certified Health Executive, holding Masters Degrees in Social Work (MSW) and Health Sciences (MHSc), and is a Doctor of Social Sciences candidate. She is a faculty member at Ryerson University in the School of Social Work, where she teaches on social policy and social inclusion. She is a certified Yoga teacher specializing in mindfulness, resilience and self-care. Komal is committed to the health and wellness of children and youth and has devoted much of her volunteer time to this area. She serves on the board of Children’s Mental Health Ontario, a provincial association representing the providers of government-funded child and youth mental health treatment services across Ontario, and previously served on the board of the YMCA of Greater Toronto, the largest YMCA in the world.